A good healthy diet with plenty of variety is all you need. I recommend Reptomin turtle pellets, romaine lettuce, feeder fish, apple, beefheart & shrimp. This is a recipe for great turtle health. You can also buy vitamin suppliments in a powder form, such as reptical reptile vitamins. This is a powder in which you sprinkle over your food. Other than that, vitamins are not needed. Substrate is a very touchy subject when it comes to chelonians. I have read many articles, and have spoken to keepers regarding substrate for red eared sliders. First and foremost there is gravel! the person at the local pet shop will say ” this is great for your turtle”, but is it? The answer is no! gravel is small and most red eared sliders love eating it. Eating gravel can cause a blockage in the intestines and Prolapse (see Illnesses) which can result in death. I recommend medium sized river rocks. You can buy a 50 pound bag for 15 bucks at your local greenhouse. These rocks are colorful, and impossible to swallow. It will also bring a more natural look to your aquarium. Another thing you can do is have no substrate. This makes cleaning your turtle tank very easy and it also leaves nowhere for bacteria to grow. Many keepers prefer this method over substrate. They also tend to put more wood, live plants, and other decorations to make up for no substrate. 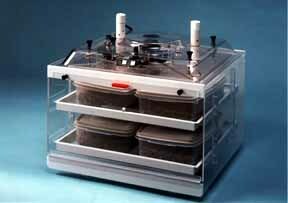 The RL1 Reptile Incubator was designed and manufactured with the serious herpetologist in mind, with the engineering and quality that has distinguished Lyon’s products over the years. Tronic cheaters onsistently achieve and maintain desired water temperature by means of its patented Thermal Sensor. Unlike other heaters Tronics state of the art sensor has NO moving components to stick or corrode. Tronic’s sensor rests on the glass of the heater tube allowing accurate temperature reading which is transmitted to Tronic’s advanced control circitry. Tronic is fully submersible and may be placed anywhere in the aquarium. When removed from water the patented Thermal Sensor triggers Tronic’s Automatic Safety Shut-Off. You can also buy a “Heater Guard” which will prevent the turtle from biting or cracking it with it’s shell. WHAT REPTILES REQUIRE UVB LIGHTING? Turtles need good clean water! You are currently browsing the AdamBouskila.COM weblog archives for the 'Turtles' category.